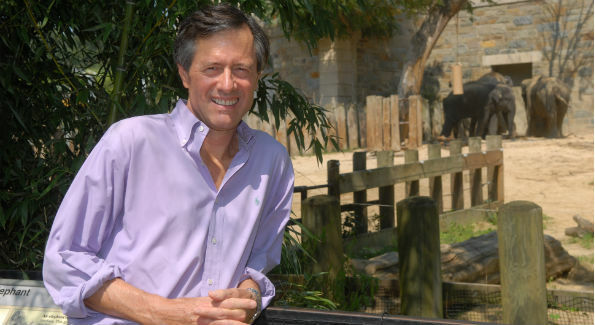 Author of “Confessions of a Wildlife Filmmaker” reflects on animal cruelty for ratings. When I first got into television in the early 1980s, I brought home a film on bears my colleagues and I had just completed to show my wife, Gail. She loved it. She particularly liked the shot of a grizzly bear stepping through a stream. The sun was dappling on its back and water could be heard dripping off its paws. Gail asked me how we got the shot and I told her we used a powerful telescopic lens. Then she asked how we got the sound. I had to admit that my talented sound guy had filled a basin full of water, ruffled it with his hand and elbow, recorded the splashes he made, and matched those sounds to the footage. Gail was shocked. “You’re a big fake” she said. I’d made a documentary and she expected authenticity and truth. Most viewers, like Gail, would be surprised if they knew how much fakery is in wildlife films—fakery that often goes far beyond simple sound effects. Film producers routinely rent captive animals, make up fake stories, and use computer-generated imagery to spice up their footage. I’m sad to say I’ve been guilty of all of these deceptive practices, and I’m ashamed about how long it took me to realize that they were wrong. In an IMAX film we made on whales, we follow a mother humpback we called Misty and her calf Echo as they migrate 3,000 miles from Hawaii to their feeding grounds in Alaskan waters. The tension builds as the audience wonders whether the pair will get to Alaska while running a gauntlet of threats, including collisions with ships, entanglement with fishing nets, and attacks from killer whales. In the final, emotional scenes, the camera lingers as Misty and Echo arrive in the waters of Alaska. But the footage of the mother and calf was a different female humpback whale and her calf. We’d meant well, of course. The film championed whale conservation and we hadn’t deviated from the scientific facts of whale migration. But the demand for an engaging, dramatic story had trumped the need for truth. That wasn’t the only trick in the film. We filmed a shot of a killer whale skull on the ocean floor, using close-ups of its teeth to indicate the threat migrating humpbacks face from predatory orcas. We chose not to mention that we’d planted the skull there ourselves. of a wolf pack interacting in complex, subtle ways. The film was designed to combat the misinformation campaigns of the ranching and hunting lobbies, which portrayed wolves as vicious killers fit only for destruction. We wanted to focus attention on the relationships within a family group and on the important communal task of rearing a litter of pups. We wanted to put their rich social lives on the screen. But filming the intimate lives of wild wolves is virtually impossible because they do not tolerate the presence of people. As a result, we rented captive wolves. My heart sank. Answering truthfully meant betraying trade secrets. I was not eager to reveal that the “den” in which the mother wolf suckled her newborn pups was an artificial set. Nor did I want to admit that we used captive wolves rented from a game farm. I was facing a moment of truth. I decided to come clean with an apology and an explanation. I explained that the wolves were rented and captive and the den scenes were staged. I could feel the audience’s disappointment. The excited mood in the theater suddenly deflated. They had naturally assumed the wolves featured in the film were wild and free-roaming. And why wouldn’t they? We had deliberately and intentionally given that impression throughout the film. Certainly, audience deception is a significant ethical problem with wildlife films. But there is an even bigger problem—one I’m not guilty of—animal harassment. Animal harassment has been pervasive in wildlife films and filmmaking for decades. It ranges from the relatively mild, simply getting too close to animals and disturbing them, to the more severe and dangerous—deliberately goading and harming animals for the sake of entertainment. Today, the chase for ratings is only making the problem worse. Broadcasters increasingly produce and air unethical, violent programs that rely on and encourage animal harassment. Let me give you two examples. Yukon Men is a popular Discovery Channel reality series about the citizens of a small town in central Alaska. It portrays wolves as highly dangerous, bloodthirsty predators that besiege the town and threaten the safety of its residents. Early on we see one of the show’s main characters brutally killing a wolf with a semiautomatic assault rifle. Rattlesnake Republic on Animal Planet follows four teams of rattlesnake hunters in Texas. In its promotional material, Animal Planet described the rattlesnake as “the continent’s most dangerous predator,” even though rattlesnakes rarely bite humans unless severely provoked. In making the show, the producers deliberately antagonize and goad these creatures in an effort to construct a dramatic storyline and get high ratings. The series presents animal cruelty, slaughter, and stigmatization as entertainment. There are many other examples. Programs like these teach viewers that animals are vicious and violent, and that humans are justified in using any means to subdue them. Sadly, it’s precisely this viciousness and violence that keeps viewers watching and drives up the networks’ ratings. But we can’t allow networks to profit from animal harassment. In this critical time, with the climate heating up and biodiversity in decline, we need wildlife programs that advance conservation, not encourage violence toward animals. In a world where ratings are king, change won’t come easily. It will take the combined efforts of viewers, filmmakers, and, most important, broadcasters, to move wildlife films in a more ethical direction. First, we as viewers must speak up, contact the networks, and demand higher standards. We have the power to change the ratings game simply by boycotting shows that use unethical practices, and telling friends and family about why we’re boycotting and speaking out against them. When I learn about a particularly egregious program, I tweet about it and use the hashtag #CrueltyForRatings. Second, filmmaker must obtain footage responsibly, refuse to cut corners, and behave ethically. Filmmakers can also create relationships with scientists to ensure that the science in films is presented accurately. Finally, and most important, the broadcasters who commission the programming must show moral leadership. At the very minimum, broadcasters should do no harm—a task they are failing at spectacularly. But their real calling should be moral leadership in keeping with the noble and inspiring values of their founders. Broadcasters should mandate ethics training for their executives, place more emphasis on producing ethically made programs, and ensure some level of oversight of factual accuracy. Films are one of the greatest tools to sway public opinion. Films can introduce viewers to parts of the world they would never otherwise see. Films can inspire viewers to treat other inhabitants of this planet with dignity and respect. Films even give us the opportunity to reverse the course of environmental destruction and improve the future for all life—all life—on this planet. We—the viewers, filmmakers, and broadcasters—have failed to seize this opportunity. Let’s stop the audience deception, let’s stop the animal harassment, and let’s live up to our responsibilities as stewards of this amazing planet. Professor Chris Palmer is Distinguished Film Producer in Residence at American University and director of the School of Communication’s Center for Environmental Filmmaking. He is author of the newly published book “Confessions of a Wildlife Filmmaker: The Challenges of Staying Honest in an Industry Where Ratings Are King.” His essay is based on a recent TEDx talk he gave.